Apart from all the Bushmaster goodness. I've been having fun with my older rifles. Here's my model 1868 Springfield, chambered in the venerable .50-70 Government. I bought a bunch of brass from Starline some years ago when it was cheap at about .50 per round. It's gone up since then. 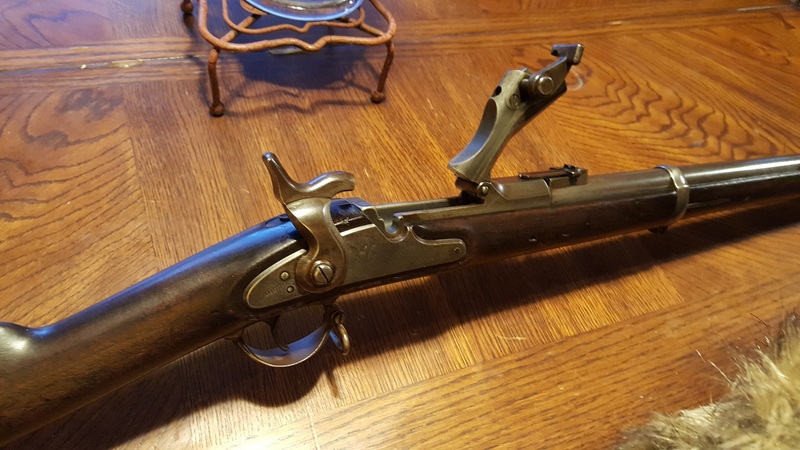 I also have a model 1866, which was the Army's first centerfire rifle. Both of these have beautiful bores in them. I've loaded a bunch in smokeless, using 5744. 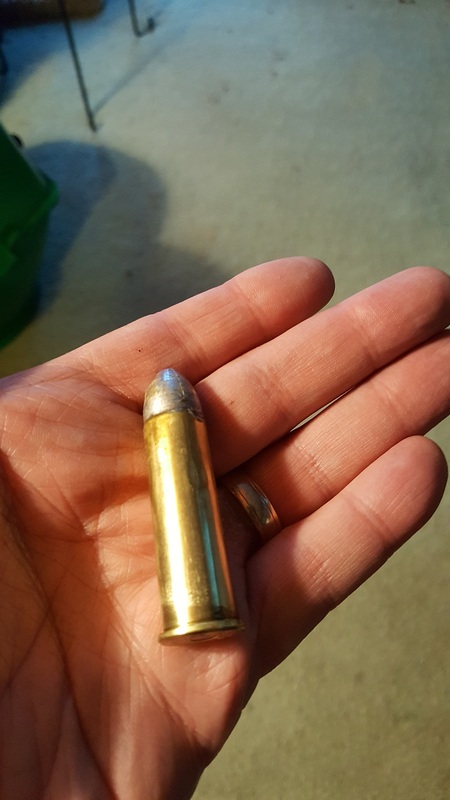 You hardly feel these when fired. Lately, I've gotten into loading more with 70 grains of FFG. I find I like the smoke from these. I've found cleaning the bore of black powder is pretty easy if I use my pressure washer. Zad Fnark wrote: I've found cleaning the bore of black powder is pretty easy if I use my pressure washer. a pressure washer? thats all it takes? sounds ez peazy! That's old school indeed. Beautiful rifle, Zad. How much smoke do they produce btw? Plenty. A bunch of them would probably make the range look like a CIvil War battlefield.